By partnering with the Science Outreach Office for your Broader Impacts you get access to a versatile set of high-impact programs and events that reach K-12 students from across the state, the nation, and even the globe! We do the work to recruit attendees, volunteers, and staff for our programming, so the main things you need to bring are the science content and your ideas for how to share it with eager young minds! Please see our program overviews below to learn about the exact collaboration timelines and expectations for each of our events. Though the information is mainly relevant to faculty wishing to collaborate for Broader Impacts activities, there is information for how students can get involved as well! If you have a new idea that goes beyond our existing programs, we’d love to discuss it! Please reach out to us at outreach@science.psu.edu to get the conversation started. 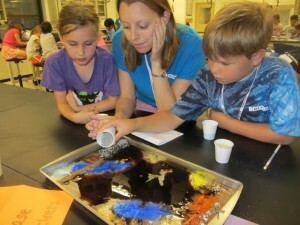 Format: Every summer our office organizes 13-15 one-week science camps for youth going into grades 2-12. 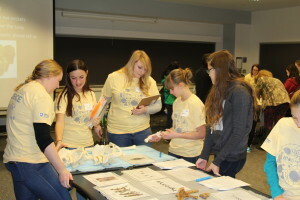 We work with Penn State faculty, graduate students, and community educators to design the camp curricula, which cover topics ranging from infectious diseases to ecology and forensic science, and conduct rigorous training for our amazing camp staff. Click here to see the full list of camps we offered in 2017. Reach: Every summer, Science-U camps reach over 500 youth, employ 30+ Penn State students, and engage 10-15 Penn State faculty, community educators, and graduate students as camp directors and instructors. Our Science Leadership camp, a camp for high school students who are passionate about science, is also approximately 30% students from underrepresented minorities. Impact: In 2015, 85% of surveyed G4-12 campers and 80% of surveyed G2-4 campers agreed or strongly agreed that attending Science-U camps gave them a better understanding of science concepts. 79% of surveyed G4-12 campers agreed or strongly agreed that their Science-U experience increased their understanding of how science relates to their personal lives and interests. Create a New Camp (Commitment Level – High): Email Jessica Kim-Schmid (jxk721@psu.edu) with your camp concept by the October before the summer in which you would like to conduct the camp or 2 months before your grant is due, whichever is first. Collaborating faculty members are recommended to make funding provisions of $1500 – $5000 annually to cover staffing and administrative costs for the camp and also must commit to authoring the camp curriculum and meeting with camp staff to brief them on the content, which can take approximately 40 hours total. The Science Outreach office can advise you on best practices for engaging K-12 audiences and also assist you with impact assessment as needed. 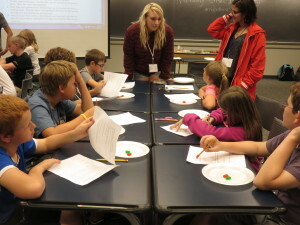 Participate in Science Leadership Camp (Commitment Level – Low): Involvements can include talking with our Science Leadership campers during the student-faculty networking dinner or hosting a 4-hour lab visit. Email Jessica Kim-Schmid (jxk721@psu.edu) by May if you are interested in participating. Create and Deliver a Guest Scientist Module in an Existing Camp (Commitment Level – Medium): Our Science-U campers love guest scientists! If you would have a concept that you would like to share with youth in an interactive 1-2 hour session, the Science Outreach staff can work with you to design your session into one of our existing camps. Email Jessica Kim-Schmid (jxk721@psu.edu) during the Fall semester if you have an idea for the following summer. 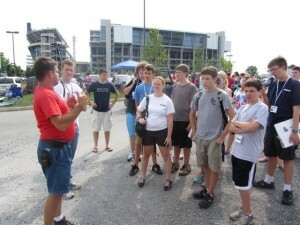 Work at Science-U: A majority of the staff members working at Science-U each year are Penn State students! Working at Science-U allows you to inspire the next generation of scientists while working in a fun, challenging team environment. Job postings become available every year starting in mid-December. Check here for more details! 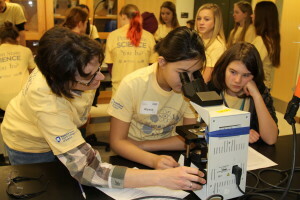 Format: A one-day event held annually in late January/early February that brings together middle and high school girls for sessions filled with interactive science workshops and inspirational STEM speakers. Click here to see the video from EYH 2017. You can also see the EYH event packet here (EYH Camper Packet updated-2a8ug5v). Reach: In 2017, the event served 149 girls in grades 6-12 from across 33 PA counties and two other states. Over 140 faculty members, graduate students, and undergraduate students from over 25 PSU departments designed the day’s interactive sessions and served as group mentors for the attendees. Impact: 92% of surveyed attendees agreed or strongly agreed that EYH helped them better understand science and 89% agreed or strongly agreed that EYH led them to a better understanding of what professional scientists do. 92% of surveyed attendees said they would recommend the event to a friend. 76% of surveyed EYH volunteers also reported that volunteering at EYH increased their confidence in communicating scientific concepts. Design an Interactive STEM Workshop (Commitment Level – Medium): If you would like to write an EYH workshop related to your research topic into your grant for Broader Impacts, please reach out to us at outreach@science.psu.edu at least 2 months before your grant deadline to discuss. These interactive workshops are 60-minute sessions targeted for an audience of middle school and early high school students. Requirements may change for EYH 2018, but for reference, please see this document (2016EYHCallforProposals-1) to get a sense of the guidelines for EYH 2016 workshop proposals. Collaborating faculty members must be available the day of EYH to facilitate their planned workshop session. 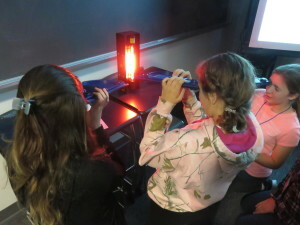 Design an Interactive STEM Workshop (Commitment Level – Medium): Calls for workshop proposals are usually sent out in early December, but please email us at outreach@science.psu.edu by December 10th if you do not receive this call and would like submit a proposal! Requirements may change for EYH 2017, but for reference, please see this document (2016EYHCallforProposals-1) to get a sense of what was required for EYH 2016 workshop proposals. Students must be available to facilitate their planned session at EYH. 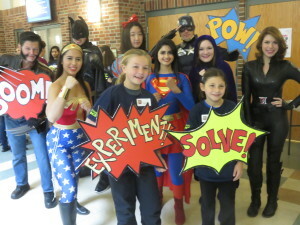 Participate in the EYH Morning Expo (Commitment Level – Low): During our one-hour morning Expo, exhibitors host information tables that promote awareness of STEM careers for EYH participants and their parents through handouts and/or interactive table-top activities. Calls for volunteers are usually sent out in early December, but please email us at outreach@science.psu.edu by December 10th if you do not receive this call and would like participate! Serve as an EYH Group Mentor (Commitment Level – Medium): Our EYH group mentors serve as the main role models for our participants by accompanying their group of 5-6 girls to their sessions and providing encouragement and guidance during conversations throughout the day. Calls for mentors are usually sent out in early December, but please email us at outreach@science.psu.edu by December 10th if you do not receive this call and would like participate! Reach: In 2016, 29 students participated in the program and 27 PSU students were involved in designing and running the interactive after-school sessions. Impact: 74% of surveyed participants agreed or strongly agreed that TOTB led them to a better understanding of science. Design and Lead an After-School STEM Session (Commitment Level – Low): Each of the five after-school sessions is run by a different student group or department. If you would like to write a TOTB session related to your research topic into your grant for Broader Impacts, please reach out to us at outreach@science.psu.edu at least 2 months before your grant deadline to discuss. Requirements may change for TOTB 2018, but for reference, please see this document (2015TOTBCallforProposals) to get a sense of what was required for TOTB 2015 workshop proposals. Collaborating faculty members or their graduate students must be available to facilitate their planned session. 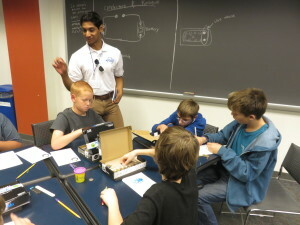 Design and Lead an After-School STEM Session (Commitment Level – Low): Each of the five after-school sessions is run by a different student group or department. Calls for session proposals are usually sent out in mid-August, but please email us at outreach@science.psu.edu by August 20th if you do not receive this call and would like participate! Requirements may change for TOTB 2018, but for reference, please see this document (2015TOTBCallforProposals) to get a sense of what was required for TOTB 2015 workshop proposals. Students must be available to facilitate their planned session. 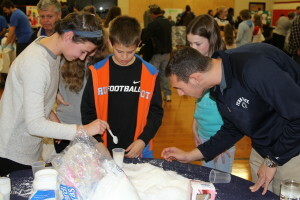 Format: Exploration-U events are 2-3 hour community science night events that are held at area schools and feature tables where STEM groups from Penn State and the community engage families through interactive science activities. Our main school district partners for Exploration-U are State College, Bellefonte, and Bald Eagle. Check out our video from the 2016 Exploration-U at State College here! Reach: Each Exploration-U event can reach between 250-700 youth and adults from the host community. (Size of the event is often dependent on date and location.) 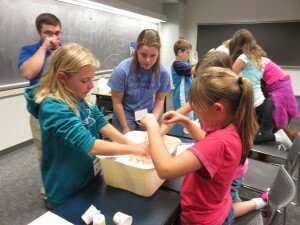 Each event also engages between 50 – 100 student and faculty volunteers from Penn State and 10 – 50 volunteers from the hosting K-12 school and local community. Impact: 96% of surveyed participants at Exploration-U events held between 2014 – 2016 agreed that the event got them excited about science! Be an Exploration-U Exhibitor! (Commitment Level – Low): The success of our Exploration-U events depends on the quality of our exhibitors! The only requirements for our exhibitors are that they put on an interesting, preferably interactive activity that kids of all ages can participate in to learn about science concepts. Since our Exploration-U events are held throughout the year, calls for exhibitors go out periodically. If you are not on our email list and are interested in participating, please reach out to outreach@science.psu.edu. Collaborating faculty members or their graduate students must be available to run their table for any Exploration-U event they are interested in participating in. Be an Exploration-U Exhibitor! (Commitment Level – Low): See the description in the Faculty section above. Undergraduates, graduate students, and post-docs are all welcome to exhibit at Exploration-U! 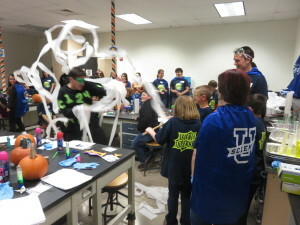 Format: A half-day Halloween-themed science event held every October to excite K-5 students about science through spooky demos and activities Check out our video from the 2015 Haunted-U event here! Reach: In 2015, 45 PSU students helped run Haunted-U for 93 K-5 student attendees. Impact: In 2015, 95.2% of surveyed volunteers reported that volunteering at Haunted-U gave them a better understanding of science education. Host a Spooky Lab Tour! (Commitment Level – Low): Communications will be sent out as planning for Haunted-U 2016 begins. Please contact us at outreach@science.psu.edu with any urgent questions. Volunteer at Haunted-U! (Commitment Level – Low): Every year we need volunteers to serve as group mentors or lab coordinators for this event! Calls for volunteers are usually sent out in mid-September, but please email us at outreach@science.psu.edu by October 1st if you do not receive this call and would like participate! The special programs below are examples of events beyond our core programs that were created based on new ideas discussed with faculty, students, and community partners! Since 2016, our office has developed and run a camp program for college-bound students on the autism spectrum. The theme of the camp changes every year, so please reach out to us at outreach@psu.edu if you are interested in getting involved! Since 2016, our office has run STEM programming during the summer for high school students who are blind or visually impaired. 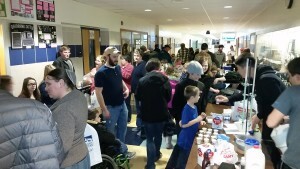 The Science Outreach office helps organize science demos for Dance Marathon families in Penn State Science Labs on their way to the Bryce Jordan Center. Our office has helped support teacher workshops at several PSU campuses for the Pennsylvania Mathematics Institute (PMI), “a professional development program for teachers to depeen their mathematical understanding to aid mathematics instruction”. PMI is now fully managed by the Math Department. More info can be found at their website (https://sites.psu.edu/pennmathinit/) or by contacting Dr. Andrew Baxter at baxter@math.psu.edu. In partnership with WPSU, our office has developed a site (science-u.org) that hosts profesionally made DIY videos designed to inspire science engagement at home! 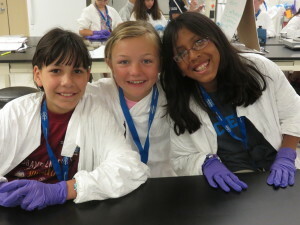 New videos are filmed at Science-U summer camps each year and are produced and posted the next year. Shorter versions of these science activity videos also appear in movie theaters and as interstitials between youth programs on PBS. Science-U is not just a summer camp. 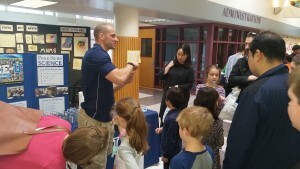 It really becomes a family of excellent Penn State students and staff who want nothing more than to share our passion for science with young future scientists. This week [at Science-U] helped my child become more focused on what science program he may want to choose. It also definitely helped my child decide that his future college career will be at Penn State!! I think that throughout the day, even though this event was for the middle school/high school girls, I myself gained a little more confidence in myself and my ability to succeed.